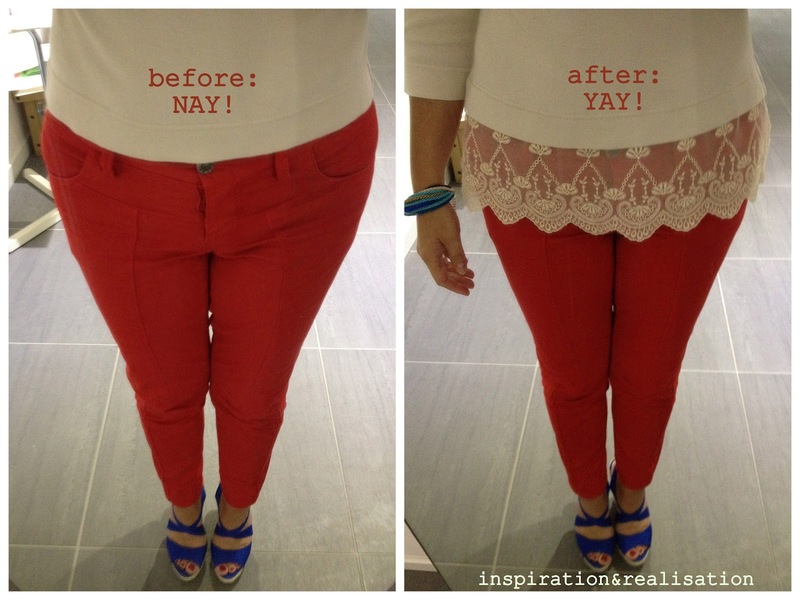 We all know about altering pieces for fit. And, the style savvy know creative changes like swapping buttons or removing pockets can make an OK piece amazing. But almost no one thinks to ask their tailor to add fabric. At 5′ 9″ skirts appear short on Kate and she often lengthens pieces beyond any standard seam allowance to be sure not to show too much leg. Look closely and you can see the seam where she added six inches of fabric to this Goat coat before her visit to New York last month. The same trick also works for too-short tops. Don’t stress if you don’t have perfectly matching fabric, go for a contrast color or texture, like lace or leather instead. Almost more than actual style, the cost of Kate’s wardrobe makes headlines. She loves a deal and the high street as much as the rest of us. Kate’s as likely to wear Topshop, Reiss or Jigsaw (where she worked) as she is luxe English designers like McQueen or Jenny Packham. Even better, she’ll mix the two and wear an inexpensive blouse with a very expensive skirt. You know, like how normal people put together outfits with pieces of different pricepoints. She knows the trick to making high street look expensive is to pick classic shapes and look for details that are well done, but not over the top, like the lacy print of this Topshop dress (paired with Ralph Lauren blazer). One of my favorite things about watching Kate’s style is that she always dresses for the occasion, even if it means donning a cowboy hat (at a rodeo in Canada) or wearing a hoodie and a blindfold (to help lead a scout meeting in London). Some people wish she would always dress formally, but I love how she keeps it real. I mean people, including this stylist, love a good hoodie under the right (and sometimes lazy and wrong) circumstances. If it’s good enough for Kate, it’s good enough for me.